Local SEO is more important than ever, thanks to the growing number of consumers armed with mobile devices and tablets. They have the power to search on the go, and you need to make sure that your business is shown when they make a search inquiry related to your location and the products or service that your business sells. Local SEO can be a very complex animal, but there are some things that you can implement yourself that will help your website in the organic search results. Your local pages need to include the desired keyword and location in the page title, alt-image tags, the content, URL extension, and even the page description. Remember, even though the meta description doesn’t play a role in ranking, it does impact the click through rate in organic search. 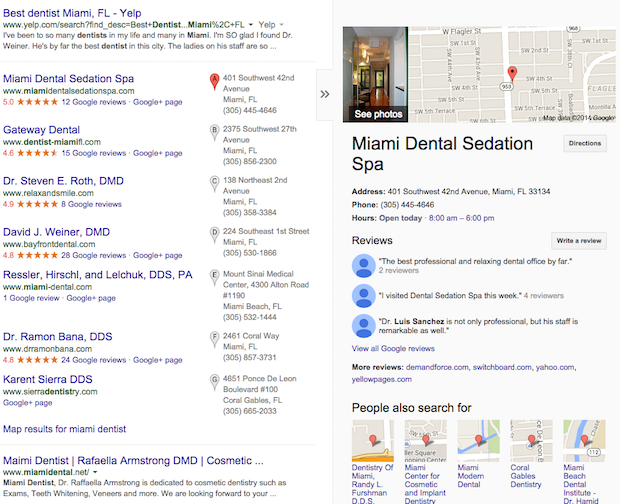 If someone is searching for a “dentist in Los Angeles” seeing that in the page description will typically pull a much higher CTR. It is important to optimize each page for the user as well as the search engines. If your business only has one location, then including your complete address as well as phone number in the footer is a good idea as well. You should have a Google My Business, Bing Places for Business, and Yahoo Local page at the very least. These are the listings that the search engines use to pull data for their map listings. 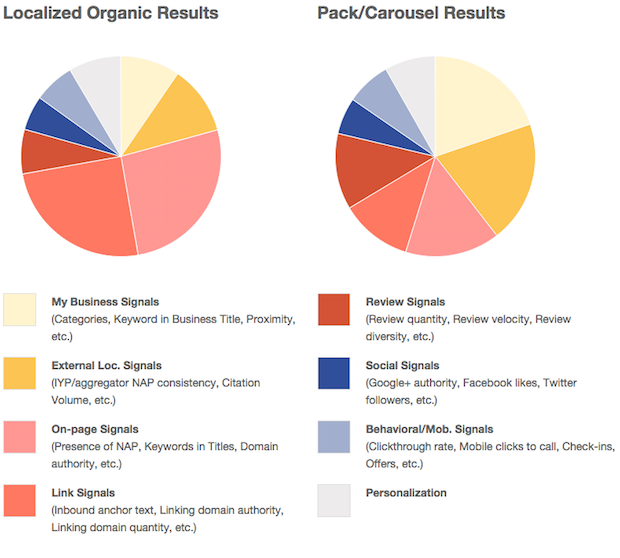 These positions are located above the organic results and where the majority of mobile traffic clicks. Claim these listings, set them up correctly, and make sure to fully optimize them. If you need some helps optimizing your local places pages make sure to check out these local SEO tips. Your NAP (business name, address and phone number) needs to be consistent across the board. It needs to appear in the same format regardless of where it is listed. So, if you use “Pl” in your address on your website then you need to use that in all of your local listing and business directory listings. Any time your address appears online it must be in that same format. If you spell out “Place” in some of your listings that can have a negative impact on the search results, because the search engines detect a discrepancy and assume that there is incorrect information floating around about your business. There are several affordable local listing audit solutions that will check for mismatched data and duplicate listings, allowing you to clean up your NAP profiles. Reviews are a strong local SEO signal, but they also help your click through rate in the results. Do you think a local consumer is going to click on a listing with 1 review or are they going to naturally be drawn to the one with multiple reviews? You want to encourage your customers to leave reviews without flat out telling them to leave a review. One of the easiest ways is to create a page on your website that mentions how much you like receiving feedback. Then, list all of the popular review sites with a link to your profile. Now, direct your customers to this page on your website via receipts, packaging, and even email follow up. You can also use QR codes to send them to the dedicated page via their mobile devices. Take a look at Joe’s Stone Crab in Miami Beach. As of this blog post they have 337 Google reviews and 1,022 Yelp reviews. Not bad, huh? Some businesses will attempt to game the search results by creating local listing pages for multiple cities. These get flagged quickly and will interfere with any accurate information. Remember, you need consistent NAP data across the board. Rather than trying to create multiple local listings, focus your time and energy into making your existing local pages better. Improve, optimize and test your results until you are positioned near the top and noticing an increase in organic search traffic. While you can indirectly let your customer know that you value their feedback and point them to a place where they can view your local pages that accept reviews, what you can’t do is bribe them or give incentive to leave you a favorable review. Nothing beats honest reviews that are written by customers that are eager to share their experience. Work on thinking of clever ways to direct your customers to a webpage that contains all of your local listings and let them choose where and if they leave a review. Fake reviews are easy to spot a mile away. They typically come from incomplete profiles with little to no other review activity and they appear to be written by a three year old. Not only will fake reviews get flagged, but other potential customers will see them and they often aren’t well received. They paint your business as sneaky and deceptive. That is not what you want potential customers to think about your business. Also, make sure your local SEO agency isn’t purchasing reviews on your behalf. Several businesses have been marked with a black eye all because of a low quality SEO company purchasing reviews for them without their knowledge. This is why you should only work with a transparent and well respected SEO firm. Links are still a huge signal when it comes to local SEO, and you still need to be focused on earning high quality inbound links. Low quality, automated spam and manually building links on business directories that exist only for SEO purposes should be avoided at all costs. 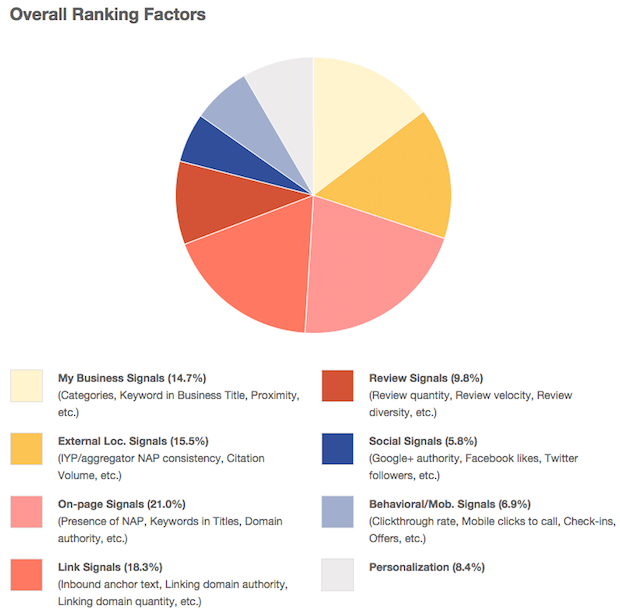 Some local businesses have very low competition keywords that are fairly simple to rank. Instead of doing it the correct way and having to wait, they will build a massive amount of low quality links. The website will rise and then eventually crash due to a penalty. This can be extremely time consuming as well as expensive to attempt to fix. Focus on quality and doing things the right way form the beginning.